Whoah, Nellie. It is Friday again! I am ever so thankful that it is Friday and am looking forward to this weekend. This post will be short and sweet as I link up with Erika to share a round up my favorites from the past couple of weeks aside from my trip to Mexico that I shared last week. You can check it out here if you'd like to get details on any of my outfits or the resort itself. Visiting my family, of course! This trip I slumber partied at Mammaw's house and therefore got to spend some extra time with her. We also went to a Good Friday service and Easter service at a church we found where my family now lives and I was so happy to be able to go and celebrate Jesus being raised from death/the tomb. I flew home on Monday and on Tuesday I drove out to the other side of town to visit with some of my family who still lives in the Houston area. I miss seeing everyone every Sunday (or every other Sunday when I could get over there). I'm telling you, my heart is full this week. *I shared some pictures on social media over the past week so will refrain from sharing them on here again. This Cooper and Ella dress. 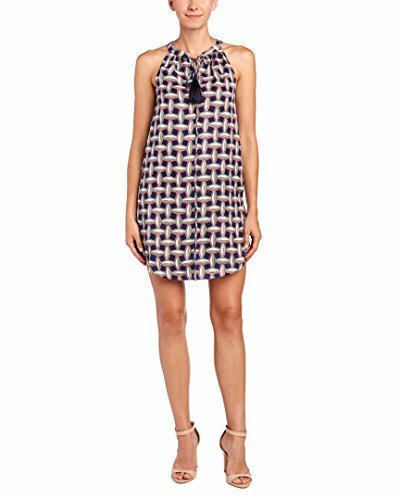 This a pattern I ordered from Rue La La over a year ago, but I own this dress in 3 patterns, including this plain black version, because I love the fit. It's comfortable, loose, has pockets, and is flattering. I'd suggest keeping an eye out for the brand to be in a Rue La La sale because I paid a fraction of the price for them. That being said, the plain black one may be worth every penny as I know I will have it forever! I paired it with my Mossimo Pamela ankle strap sandals and beaded tassel earrings similar to these. I wore the outfit to a fabulous 7 year anniversary celebration for Carrie Ann Boutique in Uptown Park. I was apparently having too great of time visiting, shopping, and sipping on celebratory drinks (cheers!) to snap a photo while there but thankfully took one on my way out the door. Carrie Ann Boutique has a ton of great outfits and accessories featuring brands such as Tart (my fave), Mink Pink, Gypsy 05, Goldie London, etc. You can't go wrong stopping by this cute boutique to pick up an outfit. Carrie Ann is having a Mother's Day celebration and 20% off sale on May 13th at 12pm CT where yours truly will be hanging out and shopping if you'd like to stop by to say hello! Quick reminder, this is where I picked up this dress below that I shared in March which you might can still find there among other fabulous outfits! I got to spend time with these beauties for dinner one evening last week and we celebrated a very belated birthday for one of my sweet friends. Girl talk + vino makes me a very happy lady. I can honestly say that every single one of my friends adds value to my life in many ways and I feel grateful for their friendships...and that goes for my friends that I do not even get to see very often. There's something to be said for being able to "pick up where you left off" as if no time has passed between visits while knowing they'd be there for you in a nanosecond when needed. Speaking of friends...I made a new one. =) We share a love for Mexican food, margaritas, and sombreros. I wonder if he'll let me borrow his hat for Cinco de Mayo next month? Arriba! I found my Ivanka Trump peplum top at TJ Maxx for a fraction of the cost on Amazon. 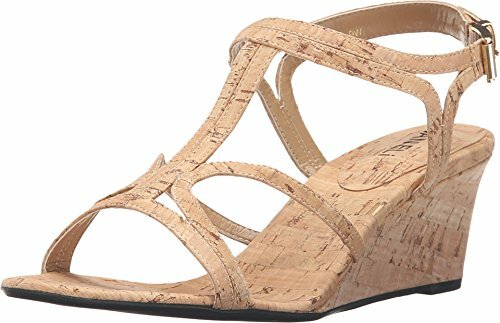 My BP Summers cork wedges are from last season at Nordstrom but you can find a similar pair here as well as a bunch of other wedge options for summer outfits I shared before here. I wore a cami similar to this one but it has an even cuter neckline with the scalloped edges. I wore it with these 1822 denim "butter" skinny jeans which are super soft and stretchy so I feel like I'm wearing pajamas while looking like I'm wearing black skinny jeans. For $39 you can't beat these. I should order another pair! I paired the cami and jeans with my fave Madden Girl Ranked (perforated) booties which also comes in taupe (hello, cute!). I'm going to wrap this up here because I will sharing a What's Up Wednesday post next week and don't want to repeat anything in there. Make sure to check back on Monday for a new recipe I'm sharing for Paleo biscuits (ingredients are Whole 30 approved!). I'm wishing everyone a wonderful weekend ahead! TGIF. We made it!